History: It took a lot of beer to get here. A lot. And I’m not referencing the ugly girl I went home with last night. No, I’m talking about one of Wisconsin’s freshest exports: Wisco Pop! Soda. Founder Austin Ashley is a lover of food and beverage. In 2003, he was ahead of the craft beer scene, sampling as many as he could ingest. He even bought equipment to brew his own beer. But before he got that far, he burned himself out on the stuff, both mentally and financially. With a curious mind and bunch of brewing equipment just sitting around, Ashley turned his attention to making ginger beer and root beer, the latter of which wasn’t quite as palatable. “That was pretty disgusting,” he admits. After trying out various recipes and flavors on families, the Wisco Pop! 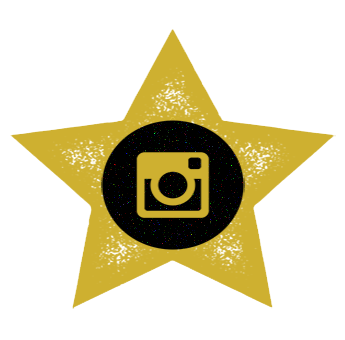 team of Ashley, his wife Hallie, and his friend Zac decided to hit the farmers market in July of 2012. When I think of farmers markets, I think of words like “local,” “fresh,” and “natural.” If you’re like me, you hit the nail on the head when describing the soda Wisco Pop! brews. 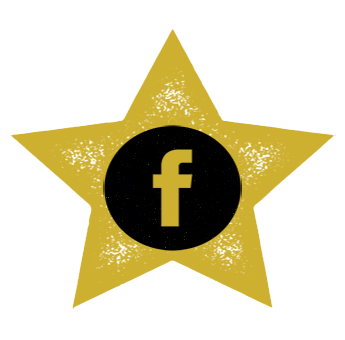 “We’re 100% committed to using, real, fresh, natural ingredients. Everything comes from something in nature,” Ashely explains. Naturally, it was a hit at famers markets, so the trio launched a Kickstarter in December of 2013 to buy bottling equipment. 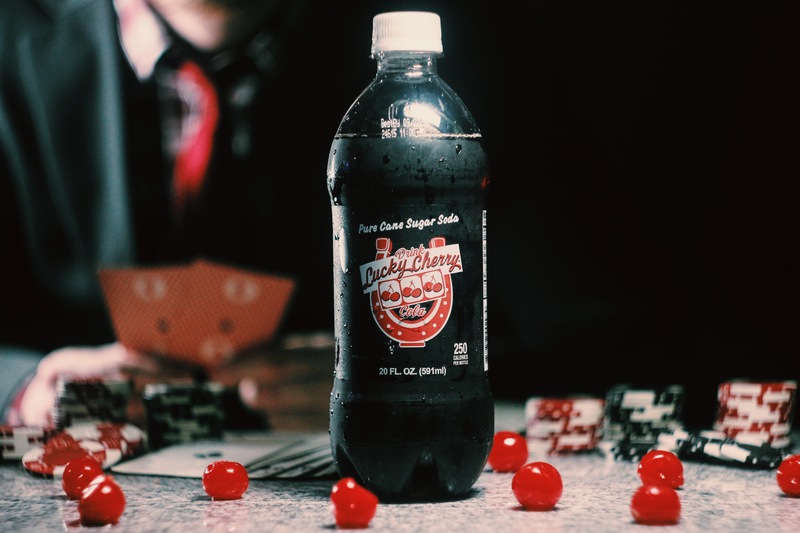 Fast forward to late 2015 and the Viroqua, Wisconsin company is now selling their soda nationally online. Currently, Wisco Pop! produces three flavors: Ginger, Cherry, and Root Beer. “The natural food market is the consumer I’m after,” Ashley tells us, before adding that no soda from the company will ever be associated with a flavor house or any sort of outside recipe manipulation. Translation: you want fresh, you get fresh. No preservatives. Local ingredients. Real fruit, sugar, honey, and spices. Ashley actually gets frustrated occasionally with how fresh his company’s soda is because not every batch turns out the same. So you might buy Wisco Pop! Cherry in the summer and have it taste slightly different than a batch from the fall. If you can’t read big headlines, Cherry is the flavor we’re reviewing today. Wisco Pop! 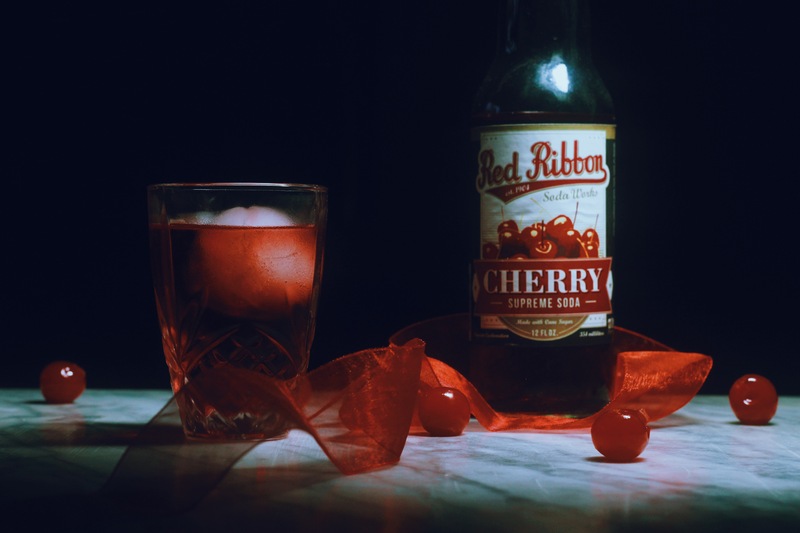 Cherry is perhaps the most localized flavor in the company’s line. The stars of the show are the Door County Cherries used. Ashley describes the cherries as tart and often used in Wisconsin cherry pies. So you probably won’t be surprised to hear Ashley say he wanted the soda “to taste like cherry pie a little bit.” In talking to Ashley on the phone, you get the sense he’s a pretty chill dude. It wasn’t much more of a surprise then to hear him admit that he didn’t put a whole lot of thought into the recipe as a whole. In addition to the cherries, the soda’s recipe also contains vanilla bean, Wisconsin honey, cinnamon, and lemon. Currently, Wisco Pop! is working on a 100% organic soda line with grapefruit hibiscus the likely first flavor. Where to get: Wisco Pop! 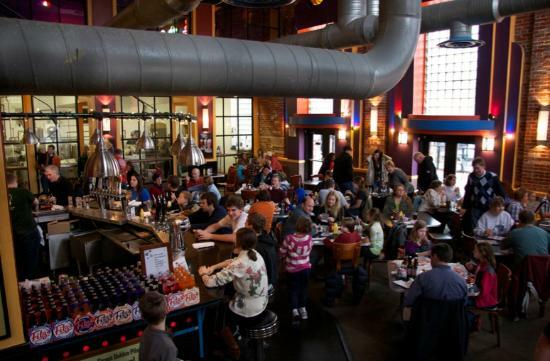 soda is available at 105 retailers mainly in Minneapolis, Milwaukee, Madison and surrounding towns. You can find your nearest retailer at the company’s online locator. You can also purchase the company’s soda online from anywhere in the U.S. via their web store. Nose: Big vanilla bean scent. Smells like the inside of a cherry pie with a heavy vanilla influence. Taste: Tart cherries; lemon; smooth vanilla bean; mild honey. This has really good, authentic flavor of cherry and vanilla. The vanilla bean tastes so pure that it gives the soda an earthy aspect. The cherries are flavorful and taste slightly tart; this is enhanced by the carbonation. There’s also some lemon notes in here that add to the tartness. I want to emphasize that this is tart and not sour. Back to the vanilla – the more you drink this, the smoother it gets and the creamier the vanilla becomes. The longer this soda goes on, the more and more the flavors meld with one another to create the taste of the inside of a cherry pie. It’s really pleasant and shows the sophistication of the recipe. Great authentic cherry and vanilla bean flavors. Finish: Still fairly tart cherry flavor with subtle vanilla also still present. The one flavor you taste on the finish and not as much in the soda’s body is honey. Overall, pretty similar to the flavors you taste near the beginning and middle of the soda with the exception of some mild honey notes. 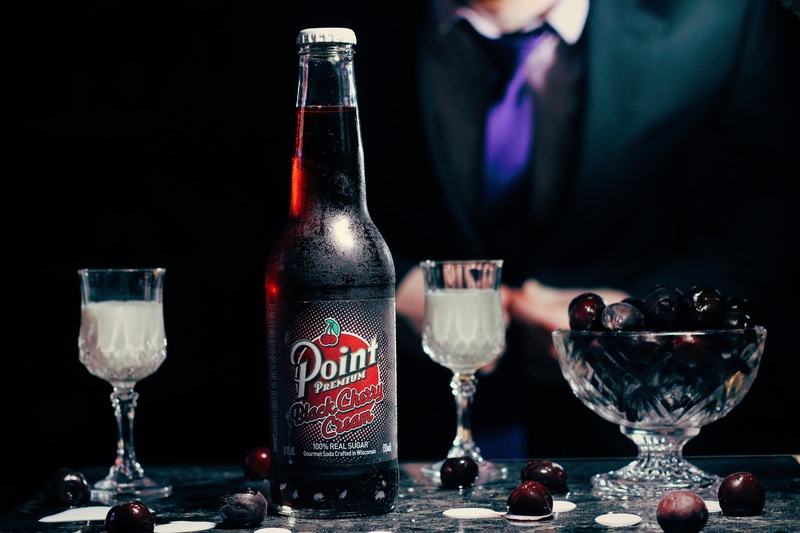 Rating: Wisco Pop’s Cherry is probably one of the easiest drinking cherry sodas you’ll come across. 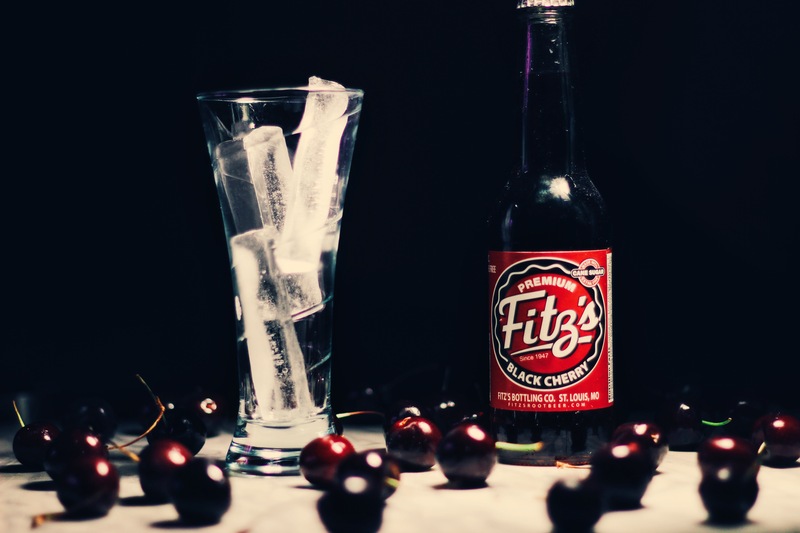 With its tart cherry notes and smooth, slightly creamy vanilla flavors, it’s an excellent fruit soda that demands more than one bottle be enjoyed. This only gets better as it goes on. 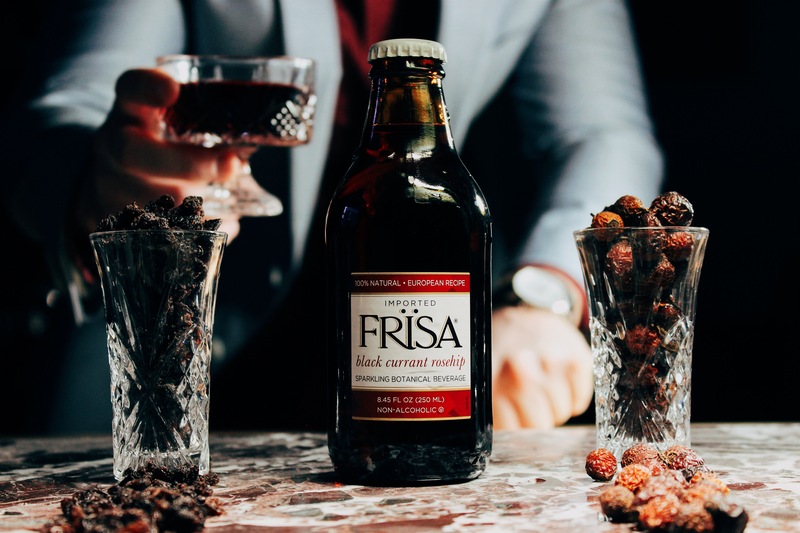 The tartness of the cherries and lemon and the creamy, earthy notes of vanilla are a perfect contrast of flavors and provide a wonderful mouth feel. This soda makes me smile. I do wish I could taste the honey more because it’s advertised as local “Wisconsin Honey” and the brand is of course called “Wisco Pop!” But that’s really my only criticism. Cherry by Wisco Pop! is like a loving girlfriend. She’ll always take care of you and never let you down. 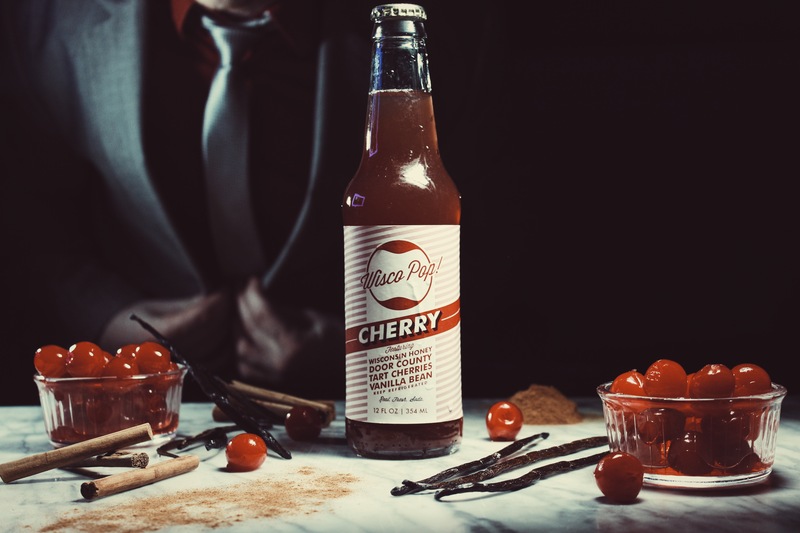 You’d be silly not to invest in Wisco Pop’s Cherry. She’ll treat you well. History: Despite their well-earned status as heroes, firefighters are average dudes and dudettes just like you and I. They want the same things most of us do at the end of a long day, namely, beer. Firefighters Rob and Ed spent a full day in December of 2000 fighting a raging brushfire in the Glendale Mountains of California. The battle took them into the midnight hours. Exhausted, they just wanted an ice cold beer, something that really said, “you earned me, pal,” something a cut above the rest. I often felt the same way after my ex came back from a trip to the mall with her friends. As you might’ve guessed by now, they eventually decided to make their own under the name Fireman’s Brew in Canoga Park of Los Angeles, California. Company COO, David Johnson, remembers starting out in 2007 selling beer out of the back of his car. Over the phone, Johnson is extremely laid back. He and his fireman buddies enjoy the simple things. They just wanted to make a great beer for firemen. To this day, the company makes only three beers that they call “off duty drinks“: blonde, brunette, and redhead. “You stick to something and you do it really well… people enjoy that,” Johnson philosophizes to us. However, the guys at Fireman’s Brew quickly realized something… it’s hard to market beer to on-duty firefighters. In 2008 they introduced a line of “on duty drinks,” starting with coffee and quickly followed up by soda. Just like their beer, Fireman’s Brew makes three flavors of soda: root beer, cream, and black cherry. “It’s the same thing we do with our beers. We try to keep the flavor profiles simple and straightforward,” says Johnson. He adds that the company’s sodas are all-natural, using pure cane sugar in every bottle, and devoid of preservatives. Johnson doesn’t care to get too specific about his flavors, not because he’s keeping a secret; he’s just a a chill guy. “We weren’t sticking our nose in it and smelling it” he says about the soda flavors. 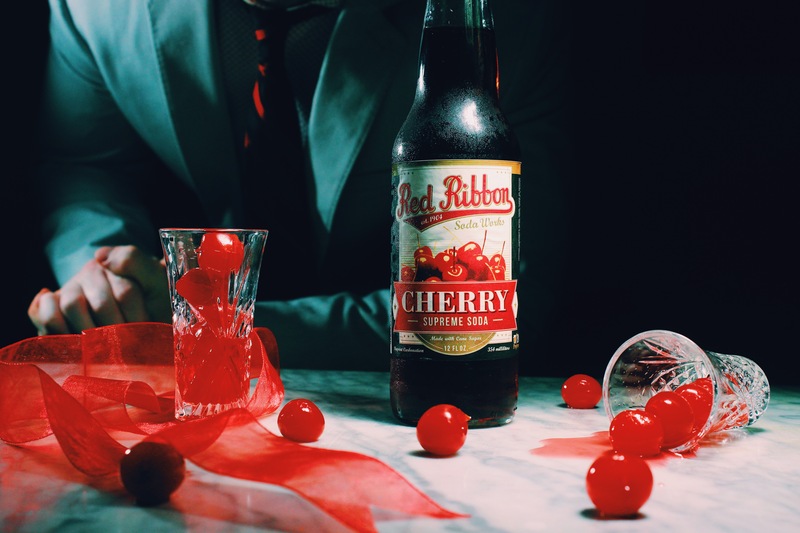 With the black cherry, he does note the company sought out a retro cherry flavor that had a bit of a deeper taste to it. What’s really nice to see about this company though is their commitment to the cause. Johnson tells us there are “over 100 firefighter shareholders in the company.” But more importantly, Fireman’s Brew donates a portion of the profits from every product sold to the “National Fallen Firefighters Foundation in Emmitsburg, Maryland” to help out families in need. Whether you enjoy their soda or not, that deserves a tip of the hat and squirt of the hose. 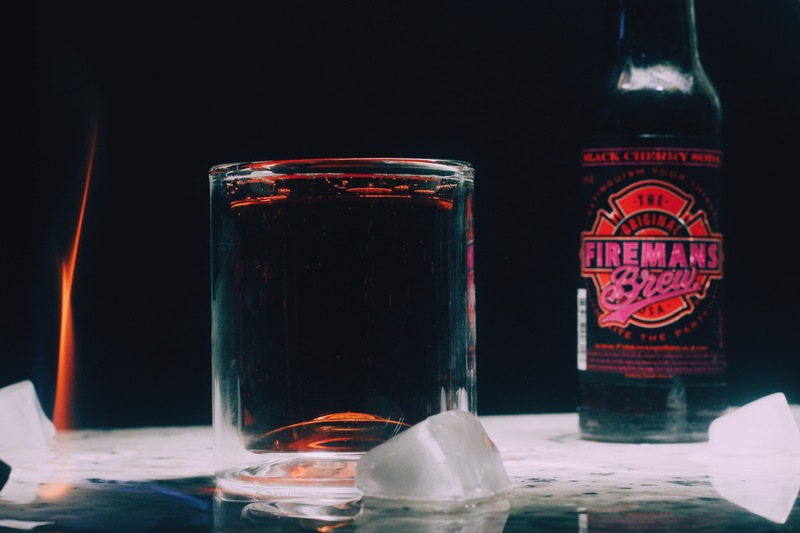 Where to get: Fireman’s Brew sodas can be found at most Rocketfizz retailers. 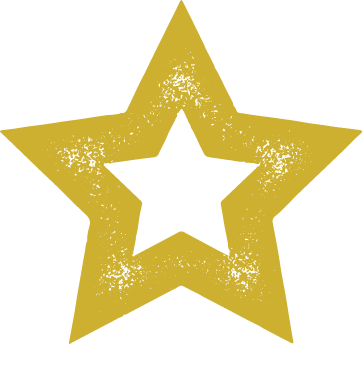 Use the company’s online locator to find the store nearest you. Garvey Nut & Candy is also another option (we assure you we looked – they have it). 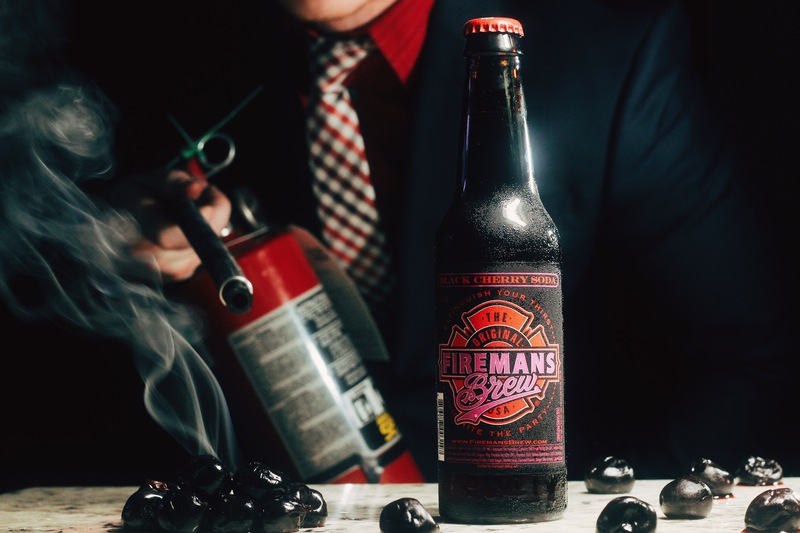 Online, you can buy Fireman’s Brew Black Cherry from Soda Emporium in single bottles or in 4-packs. Nose: Mmm. A little maraschino cherry, a little traditional black cherry. Even a mild cherry cola smell in the background. 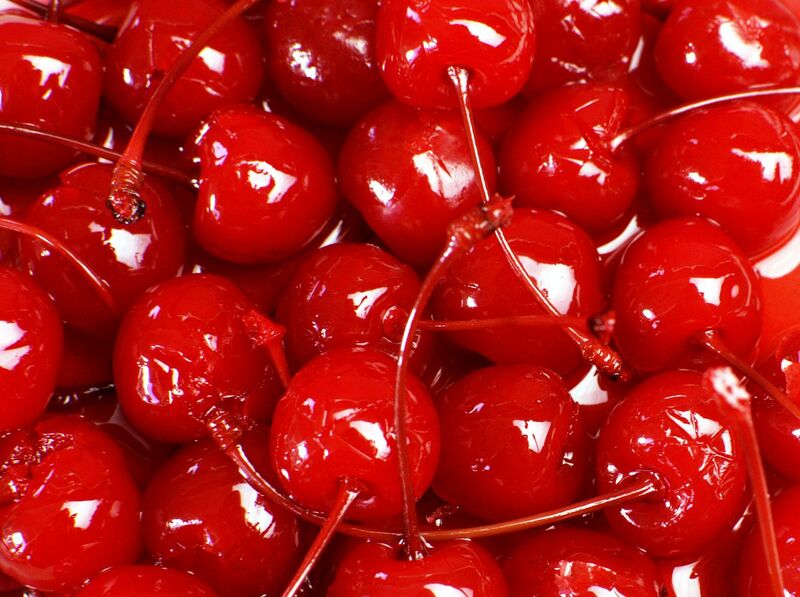 Taste: Maraschino cherry; Bing cherries; classic black cherry soda; vanilla. This is very lush, very smooth. You’re greeted with a deep, deep, sweet cherry flavor that’s more of a candied maraschino cherry than black. Definitely a little bit of a grenadine thing going on too. The flavor is big and permeates the mouth with mild bubbles that glide to the back of the tongue. 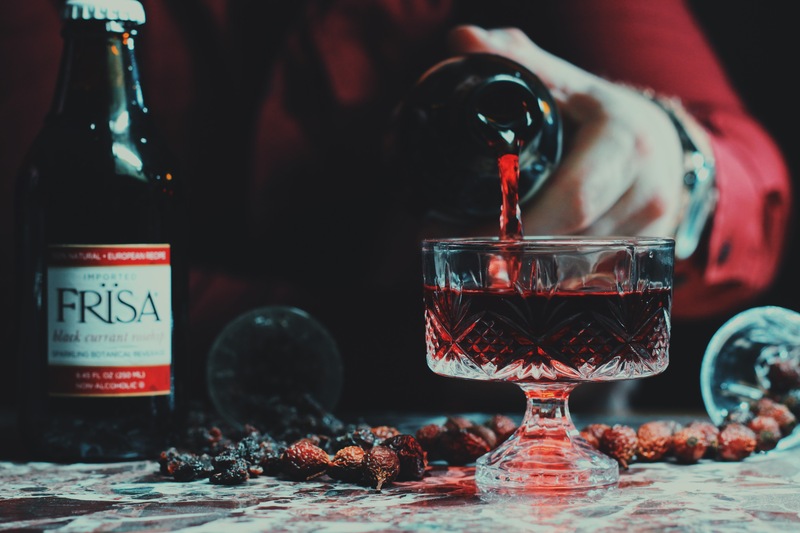 As the taste settles in and the initial boldness wears off, the black cherry becomes more apparent, but it’s definitely subtle compared to the maraschino notes. You’ll also taste mild vanilla that floats about on each sip. Sometimes it accompanies the front end of the sip, sometimes it attaches itself to the black cherry notes. This is definitely a sweet beverage, more sweet than most black cherry sodas. But the main takeaway is the maraschino cherry taste with subtle black cherry notes. This tastes luxurious and bright on the palate. Finish: Definitely a little tartness with a mellow black cherry flavor that slowly fades. A little bit of vanilla on the tongue, too. Mild. Rating: Fireman’s Brew Black Cherry is 12 ounces of power in a bottle. The flavor rocks your taste buds. In my opinion, this is more of a sweet cherry soda with subtleties of black cherry and vanilla. Still, there’s nothing subtle about this soda. It’s got lots of personality and other sodas know when it walks in a room. Just like my ex. Please come back. The maraschino cherry and grenadine flavors are apparent before anything else. On some sips, there’s additional vanilla notes that accompany these flavors. The black cherry taste is more reserved on the back half of each drink. 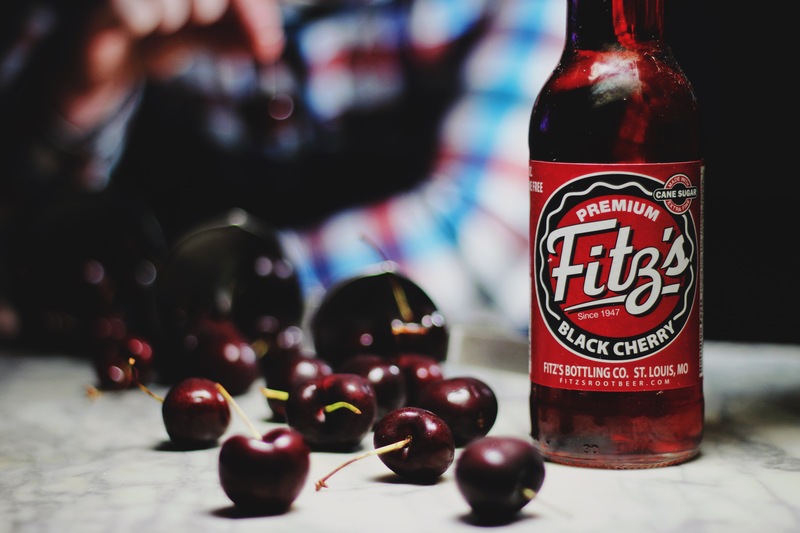 There’s just enough to make you feel ok with calling this a black cherry soda. Fireman’s Brew Black Cherry has a huge flavor that seems customized to work in a cocktail. Alcohol would dial back the sweetness, while the soda would still have ample flavor to transform the liquor into something fun for your mouth and bad for your liver. This has such a big, sweet flavor that a whole bottle may overwhelm some drinkers. It contains 45 grams of sugar per bottle. I’d probably either cut that down to 35-40 or add more tartness for balance. In the end though, what matters is flavor, and Fireman’s Brew Black Cherry soda has enough flavor to put out a forest fire. That doesn’t make any sense, but you get it. 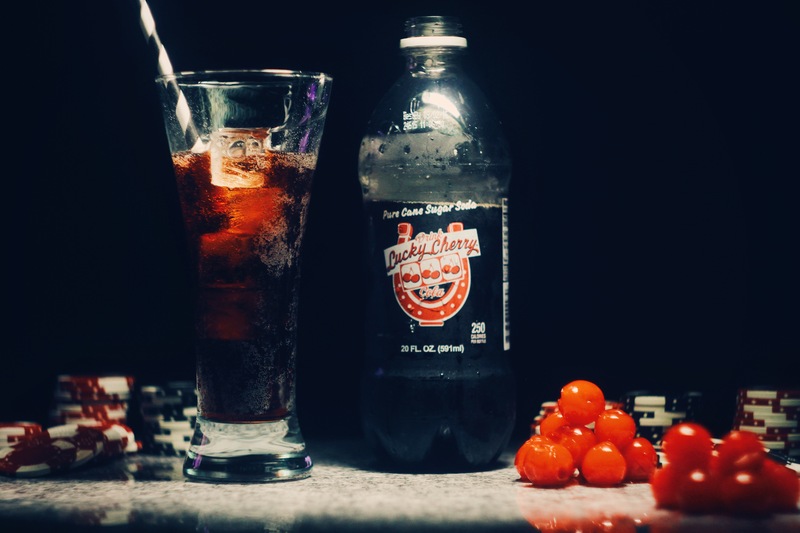 If you like maraschino cherries or Cherry Coke made with grenadine, you’ll love this soda. It’s one your taste buds need to try. Just mentally buckle up before you indulge. As their catch phrase says, extinguish your thirst. 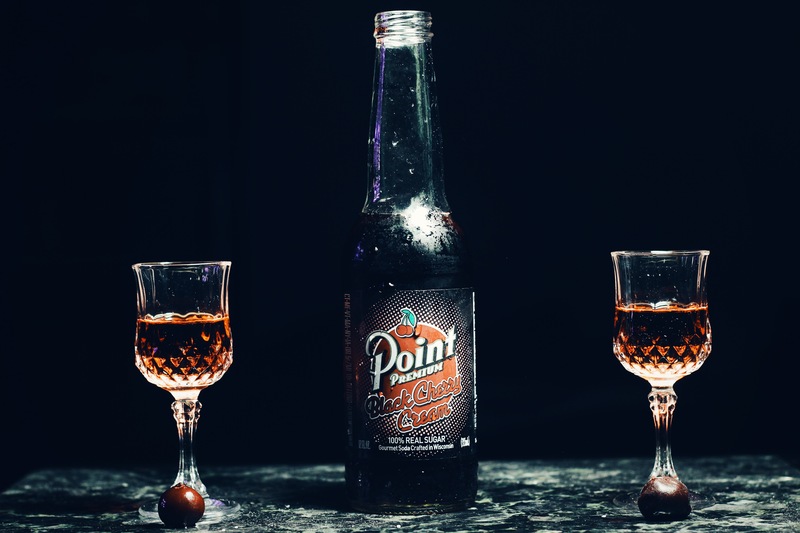 History: “I don’t know of another soda that marries up with their brand so closely,” says WIT Beverage Company Sales and Marketing Director, James Akers. So to answer your assumption from the get-go, yes, Jelly Belly Soda is designed to taste like a liquid version of its corresponding jelly bean flavor. It’s not a difficult concept to grasp, yet it wasn’t actually the directive given from Jelly Belly to WIT Beverage, the makers of Jelly Belly Soda. Akers recalls being told “Make ’em taste good. We don’t care if they taste like the bean.” This seems astonishing to me, and apparently it did to Akers too. It was his directive to make sure the sodas matched up to their candy companions. As an ex-buyer for Walgreens for 16 years, Akers saw lots of beverages come and go, including the failed Life Savers Soda. He didn’t want Jelly Belly to become another candy-turned-soda disaster. It was 2010 when Jelly Belly Soda hit the market. Today the brand boasts 10 flavors, including its bestseller, blueberry. Interestingly, two of those ten flavors are cherry: one normal, one sour. If you read the giant bold letters in the title above, you know which one we chose. If you didn’t, you might be Floyd Mayweather. “The sour cherry is intended to go after that younger, pucker-y sour candy crowd,” Akers tells us. 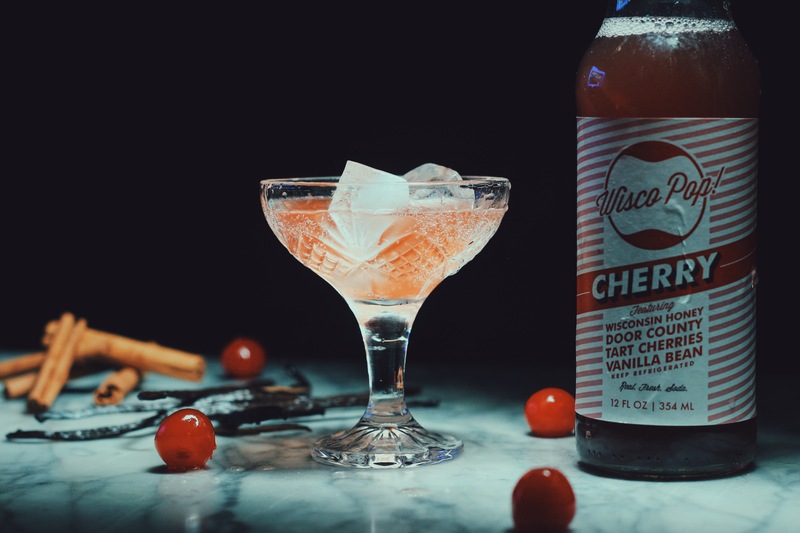 In addition to the pure cane sugar in all Jelly Belly sodas, there’s a special ingredient in the Sour Cherry that gives it that signature zing: citric acid. And it’s not necessarily the ingredient itself that’s unique, it’s the amount. 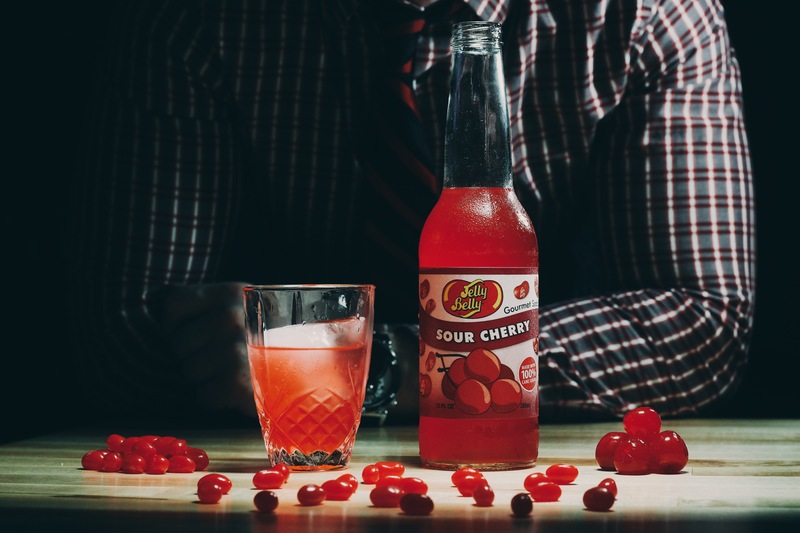 Akers notes Jelly Belly Sour Cherry contains two-and-a-half times more citric acid than the average soda. If you’ve ever tried pure food grade citric acid, it’s more intense than the sour taste you get in your mouth after waking up next to a bad decision the morning after a night out. It’s clear the company really wants to hammer home that sour bite. Will you be able to handle it, or will it handle you? Where to get: Jelly Belly Soda is distributed all over America and in the United Kingdom. It’s also available for purchase online at Summit City Soda and in single bottles at Soda Emporium. And if you’re a retailer wanting to sell soda in your store or just someone looking to place a large order, give Homer Soda Company a call; they’ll have you covered. Nose: Cotton candy. Didn’t see that coming. Taste: Sour; candy strawberry; mild cherry. The tart bite is evident near the end of each sip. It coats your tongue. But the actual flavor is hard to place. It doesn’t jump out. Artificial candy strawberry is in there. The same could be said to a lesser extent with candy cherry. At times there’s even a strange cotton candy flavor. But there’s no bold complimenting flavor to go along with the sour. As the soda progresses, there’s definitely more of a candy cherry that jumps out once the soda hits your lips, but it’s literally gone in a fraction of a second in favor of a sour candy taste that’s more strawberry than cherry. 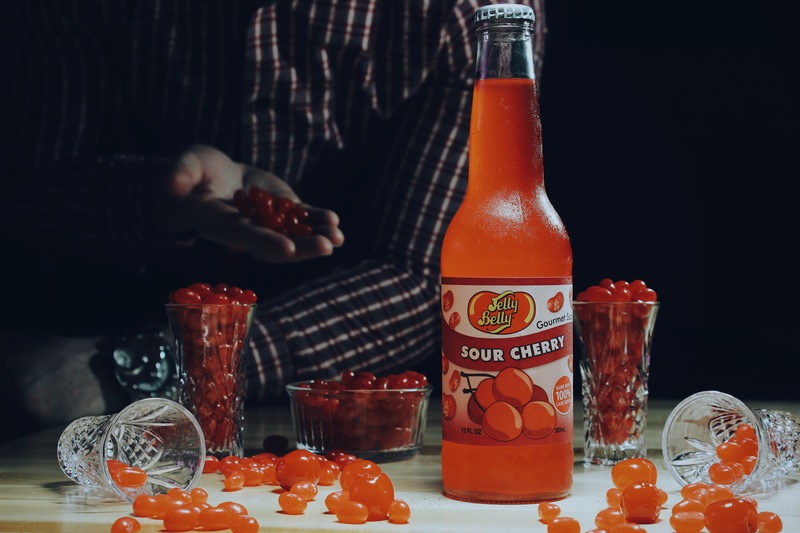 The sour bite is what defines Jelly Belly Sour Cherry soda, but the main flavor is more of a question mark. Finish: Candy gummy strawberry lingers just a bit longer than the soda’s signature sour flavor. 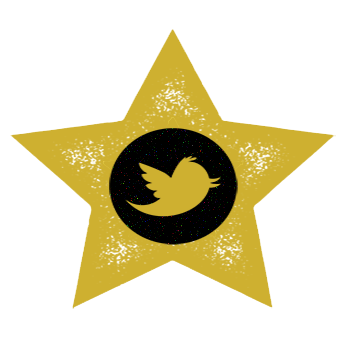 Rating: I know what a lot of you are thinking. There’s no way a Jelly Bean company can make a good craft soda. This isn’t necessarily true, but in the case of Jelly Belly Sour Cherry, the jury is still out. And I don’t know if they’re coming back. Sour cherry certainly nails the sour taste. It’s like someone melted down the sour bite from Sour Straws candy and infused it in this liquid. It works. It’s not too strong and would be a nice complimentary flavor. Would be. That’s the problem with this soda. It has no flavor identity. Sometimes it tastes like candy strawberry. Sometimes candy cherry. Other sips, you taste cotton candy. This soda is having an identity crisis, and I already get enough of that on a daily basis with my brother. He just can’t let the 80’s go. What I judged this soda on was a simple criterion: does it taste like the sour cherry jelly bean it’s named after? Answer: I don’t think so. But listen, it has one really solid quality in that signature sour taste. But the sour notes need something to play off of and there’s no consistency in the soda’s complimentary sweet side. If you’re a big fan of sour candy like Sour Straws, War Heads, or Sour Patch Kids, you’ll probably like this and I’d say it’s worth a shot. For the rest of us, there are better (slightly less) tart sodas out there, but I won’t fault you for trying it because the sour taste is unique and nice. Someone needs to send this soda to an adoption center. We can only hope it finds a family that will provide stability.